First of all, thank you so much for the post-surgery love! I have the most wonderful readers and patients. And, I must say, I often find that I learn so much from them on how to live life! I have a few announcements at the end of this blog post, so please check them out to get the 411 on FREE ear acupuncture in my office this Thursday, 10/24! The truth is, no matter what state our bodies are in, we have the ability to accept ourselves as already whole. As not lacking. Because saying we do not feel whole means that we are telling ourselves that we lack. We judge our bodies for not performing a certain way, we grow impatient with our slow lack of growth towards our health goals. To put it bluntly, when we react to our bodies this way, we are not showing ourselves love. 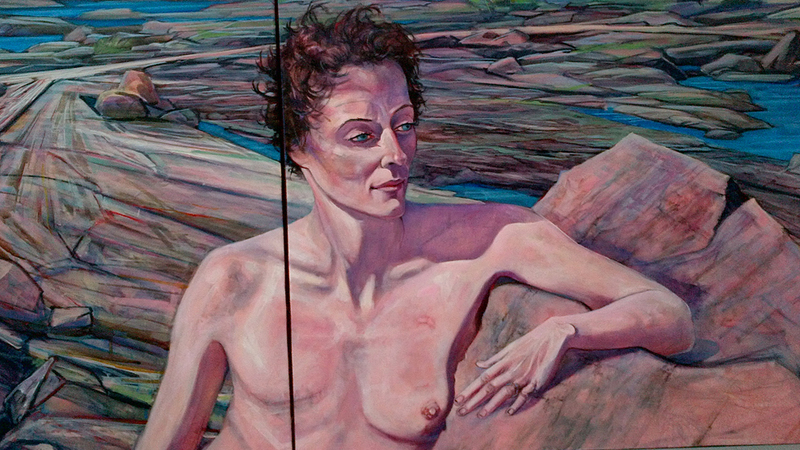 We can be dealing with elevated stages of cancer and still see our bodies as whole, see ourselves as loved. There is a reason why Louise Hay, popular author of “You Can Heal Your Life” (I love this book, especially the gift edition, which is a turtleback, and is chockfull of colorful illustrations, which is great for those of us who take in information visually) was considered radical in the early 80’s when she first spoke about her cancer as self-created, and how she is now cancer-free without surgery or drugs, and reclaimed wellness/wholeness by intensely shifting her mental perception of self, seeing her body as self-healing, through affirmations, nutritional cleansing, visualizations, and psychotherapy. Even on a smaller scale, my experience of my laparoscopic myomectomy has taught me that our bodies are very vocal, and we need to tune into them in order to create the awareness and connection with our bodies. When we listen to what our bodies are saying to us, we make the necessary changes to create healthier patterns, whether they be energetic, emotional, spiritual, or physical. And, in my experience, these levels of wellness are all interconnected. You cannot treat the physical body without addressing the energetic self, and vice versa. This is the concept behind holistic health – treating all aspects of health that we have, on all levels. I have seen it, where the shoulder pain correlates to emotional pain that has been held there for years, and once the emotional pain has been addressed, the shoulder pain is easier to manage on a physical level. That’s just one example. I’m not saying that every physical pain is psychosomatic, since some physical pains are due to trauma or injury to the area. But the chronic pains, and where they’re located, are very telling: the pain in the neck, which could address inflexible viewpoints, the pain in the lower back, which can sometimes reflect fear of financial security, etc. We are all works in progress, here on this Earthly plane to get in touch with our power, to share what that is with the world, and even, the universe. We all hold profound gifts that may/may not be developed. We were born whole, we are whole. Oftentimes, I hear from people, “I feel broken”, “I am nothing without my better half”, or “I am not whole without __________ (place person, place, or thing here)”. Although these may be powerful states of mind, they are illusions, and when we think these things, we believe the fear we have created around these stories. Yes, they’re only stories. More accurately put, they are illusions. So, how do we reclaim our wholeness when we feel broken, disjointed, disconnected, and lacking? Take your power back. In a previous post, “How To Protect Yourself From Psychic Vampires In The Concrete Jungle”, I gave a method on how to take your power back, by literally calling it back to you, and focusing the re-entry of your power gathering into your third chakra, 2″ above the navel. This is one great way to take your power back. Particularly when you feel scattered. Feeling scattered is an immediate sign that you have given away your power to too many places (this is often without our conscious knowing.) We give power away when we react to denser energies, when we allow our resentment, hatred, or anger to envelop our daily activities, when we hold unhealthy feelings in our bodies for too long. We then wonder why we’re so tired at the end of the day! The reason we’re tired by the end of the day is because instead of focusing our energy on the things that propagate hope, joy, and love, we invest it, instead, on the unpleasant experience we had at the grocery store earlier that day, the injustice you may be experiencing in a family dynamic, the rude cab driver or stranger on the street who pushed all of those trigger buttons. Action: Either call your power back to you, as mentioned in above previous post, or simply say, “I release all energies that no longer serve me.” It’s amazing how easy, but powerful, this sentence is. You will immediately feel less burdened in your heart, or elsewhere in your body (most likely where the heaviness resided), upon saying this. Get your shuteye and rest. We are often at our weakest when we have not allowed ourselves adequate sleep, since sleep helps us rejuvenate our organs and revitalize our system. Not only does lack of sleep tax our Heart Yin on a Chinese Medicine level, but it also weakens our immune system, and we may be more susceptible to colds. It is easier to stand in your power and integrity, and focus on the positive forces, when you are rested. And it is much easier to lose your grounding and stability, and to focus on the negative aspects of life, when you are not. We are all surrounded by denser and lighter energies. It is up to us to focus on the energies that benefit us most. Action: Detox from the rat race and your list of duties. Set aside enough time for real rest. For most people, adequate sleep time is 7-9 hours. For others, it may be 10. Whatever amount of time you know your body works optimally on, have at least 1 day out of the week to drink in that optimal amount. If you are sleep-challenged or experience insomnia, make sure to give yourself downtime so that, even if you are not sleeping, that you are allowing yourself time to empty your head of the day and unwind, releasing the stressors on the down low. Get grateful. When you feel like you are at a loss, or have no support, understand that you, sitting there by yourself, are already supported. Someone made the shirt you’re wearing, people manufactured the chair you’re sitting on, others created the device you’re reading this blog post on, and strangers made the building or structure you’re living in (or the bench you’re sitting on outside in the street or park, which was also created by total strangers). Someone cultivated and harvested, and possibly, cooked, the food that you ate today. We already have so much to be grateful for in just our being, in the knowing that we are clothed, sheltered, fed by the actions of total strangers. How amazing is that? And you never know about strangers in the street. Sure, some of them may not be of the highest vibration, but you never know when a total stranger will send thoughts of love your way! How do I know this? Because, I practice this, sometimes, sending Reiki energy to total strangers in the subway, especially if I feel they need it, or if I sense that their kindness and light has not been acknowledged. There are many things we receive, without knowing it, that we take for granted. Action: Name 7 things that happened today that you’re grateful for. It’s most helpful if you write it on a piece of paper. Especially, because, upon reading it back, you discover you are more blessed than you thought you were! When we are grateful, we send a message to the universe that we are ready for more blessings. Is there anything not in this above list that you find helpful in reclaiming your wholeness? Alcantara Acupuncture is now Alcantara Acupuncture & Healing Arts! As of last Tuesday, the name change is official with New York City’s County Clerk, and more accurately represents my offerings! The new logo and website are forthcoming, and I’m excited to launch them as they manifest! Typical auricular NADA (National Acupuncture Detoxification Association) protocol. Often used to treat addictions, but also reduces stress and anxiety. Celebrate AOM Day With FREE Ear Acupuncture @ Alcantara Acupuncture & Healing Arts! Email me at malcantara.lac@gmail.com, or call 646.641.6910, to book your spot. 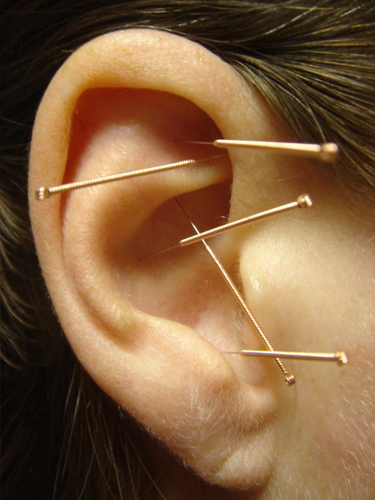 Receive FREE ear acupuncture treatments, to commemorate Acupuncture & Oriental Medicine (AOM) Day! On this day, I’ll be offering the NADA (National Acupuncture Detoxification Association) ear protocol, which alleviates anxiety, brings down stress levels, helps you sleep better, reboots the sympathetic nervous system, addresses addictive behaviors and PTSD (post traumatic stress disorder), and, in general, is an incredibly grounding and calming treatment. This ear protocol is so effective, that it is used in hospitals and in the battlefield, as well as in harm reduction clinics and agencies. Enjoy a 15-minute detox in my beautiful, calming office, set to music conducive to helping you release the day, in a community acupuncture atmosphere! To find out more about Acupuncture and Oriental Medicine Day events in your area, please check out www.aomday.org. Alcantara Acupuncture & Healing Arts is donating a full initial Acupuncture or Reiki treatment to the New York Asian Women’s Center (NYAWC)’s 31st Annual Phoenix Awards Gala on Tuesday, October 22nd, which includes silent auction, cocktails, and dinner. When I was a younger upstart in community activism, one of my passions I addressed was human trafficking of Asian women, particularly Filipina women, so supporting this event is close to my heart! Help empower women to live free from violence by supporting NYAWC’s work! Thank you for the feedback! It’s interesting how the simple things can easily be momentarily forgotten, until we’re reminded. I hope you enjoyed the post! It is a shame you’re too far away to join in the free ear acupuncture this Thursday; but, I’m pretty sure that there are many resources to enjoy an ear treatment near you! Have a fruitful day!